Battle like Batman! This iconic part of the Batsuit, features multiple accessories that clip right on for easy access in combat. Launch a dart from his baton, and then use the taser to defeat super-villains. The belt also features a carrying case to store back up darts! 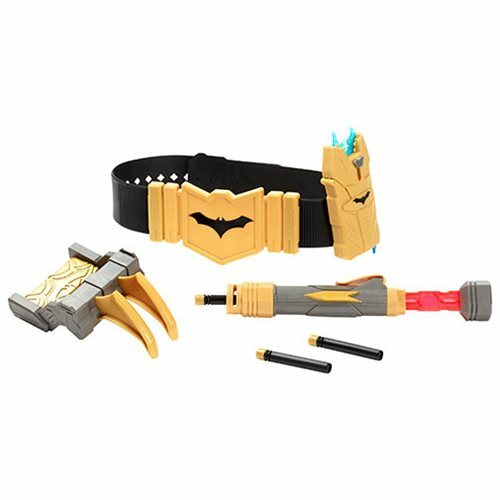 Enhance your role-play fun with the Batman gauntlet, cowl and dart blaster. Our exciting range of DC gear turns fans into Super Heroes! Each item sold separately.